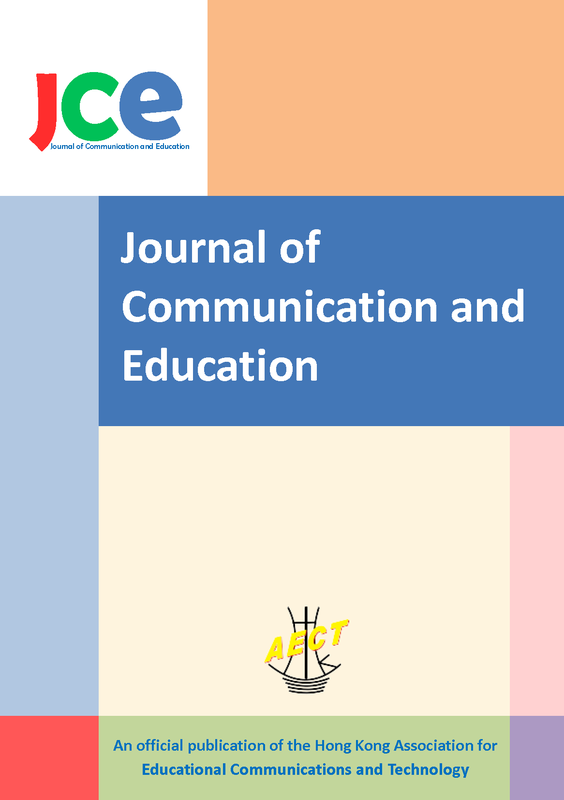 The Journal of Communication and Education (JCE) is an international journal of the Hong Kong Association for Educational Communications and Technology (HKAECT) and publishes research papers in the fields of communication and education. Here communication is interpreted as the human communication process of making sense out of the world and sharing that sense with others through technical and non-technical means whereas education is understood in a broad sense as any form of teaching, learning and training occurs in a variety of contexts and environments. With the advent of information technologies, we have witnessed that these fields of knowledge have become enormously influential and have shaped a large portion of the world's progress. Against this backdrop, the journal publishes international issues such as ubiquity of the media and information technologies and the need to educate and advocate intelligent consumption. The journal invites rigorous scholarly work, including review articles and empirical studies using qualitative, quantitative or mixed research paradigm, that can make original contributions with impact on the scholarship of communication and education. The Hong Kong Association for Educational Communications and Technology (HKAECT) was established in 1989. HKAECT held its first international conference in 1990, "The role of educational communications and educational technology in Year 2000", with about 300 educators and research professionals coming from the Mainland China, Taiwan, Macau, US, Singapore, Malaysia, etc. attended the conference. In the past twenty years, HKAECT had organized more than fifteen conferences, seminars and workshops contributing to the field of communication and technology in education.